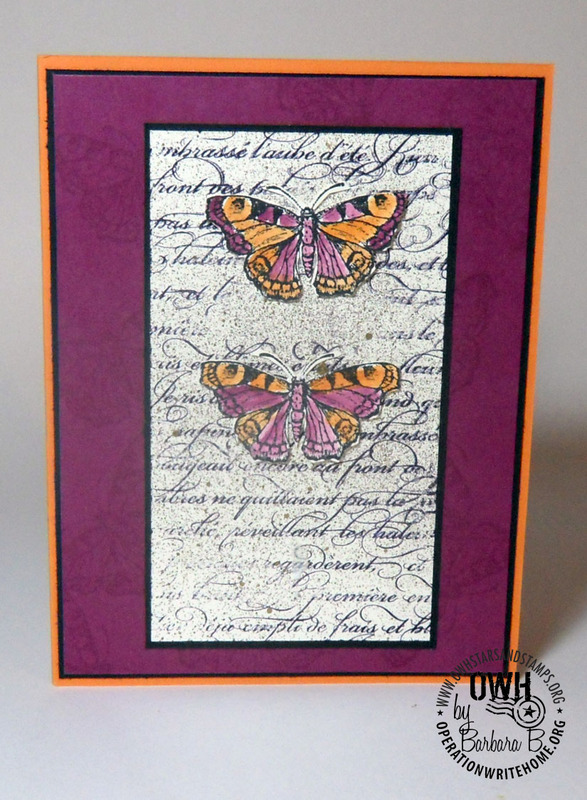 This week we get to meet Barbara - her cards are just lovely! How long have you been stamping? I got interested in card making about 5-6 years ago. I was always being invited to scrapbooking parties but it really didn’t interest for me; but once I attended and got introduced to card making I was hooked. 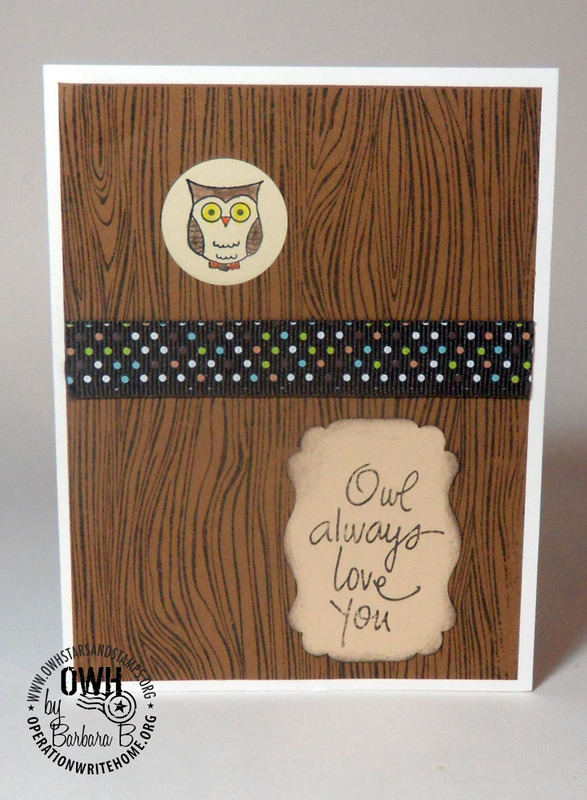 Do you have a craft room or specific area where you stamp? I have a small condo that had a spare bedroom which I changed over to the craft and everything else room. I make a huge mess when I’m crafting as things have a tendency to get piled on the ironing board and laid out on the floor. I’m glad I can just shut the door and ignore it until I’m ready to clean it up. What are your favorite stamp products? Some of my friends would say “PAPER!” and other would say “STAMPS!” and I do have a lots and lots of both but I think my favorite products are everything embellishment especially buttons, brads, pearls and rhinestones, ribbons, and flowers. And punches, I just love all the new shapes and designs. Do you have a favorite technique? I don’t have a favorite but I like to try out different techniques all the time. 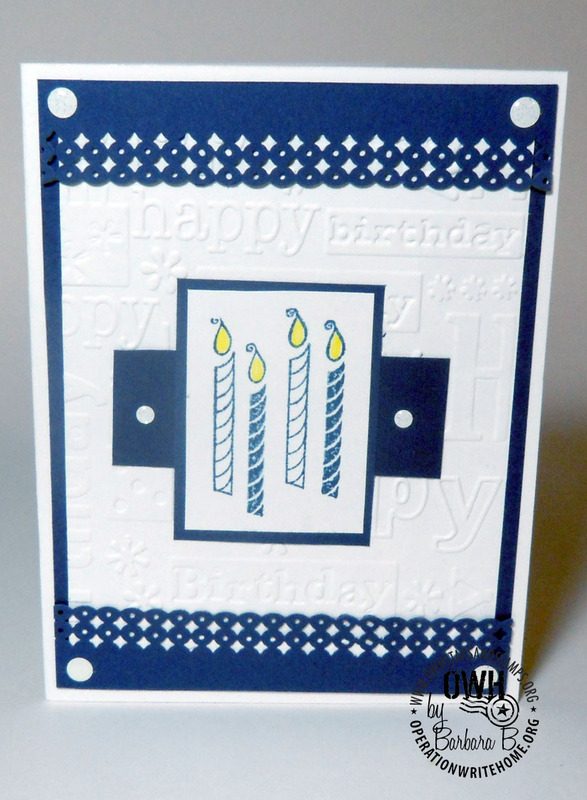 I go to stamping parties, classes, and scrapbooking and stamping expos and I usually learn something new that I can incorporate into my cards. Are there colors you love to include on your cards? I love all colors and I am partial to blues and purples, but I try to go with the right color for the sentiment or theme and I usually use traditional colors for the season or the holiday. How did you hear about Operation Write Home? I read about a “Cards for Heroes” challenge on the Hero Arts website so I clicked on the link and read about the wonderful things OWH does for the troops. What motivates you to make cards for our heroes? This just seemed like the perfect fit for me. Instead of just the few cards I gave to friends and family throughout the year I now have an outlet for all the cards I could possibly make and I get to let the service men and women know they are not forgotten. Beautiful cards--the butterfly and Asian one are my favorites. Beautiful cards! I really like the first Birthday one and think I will lift the idea. Thanks! 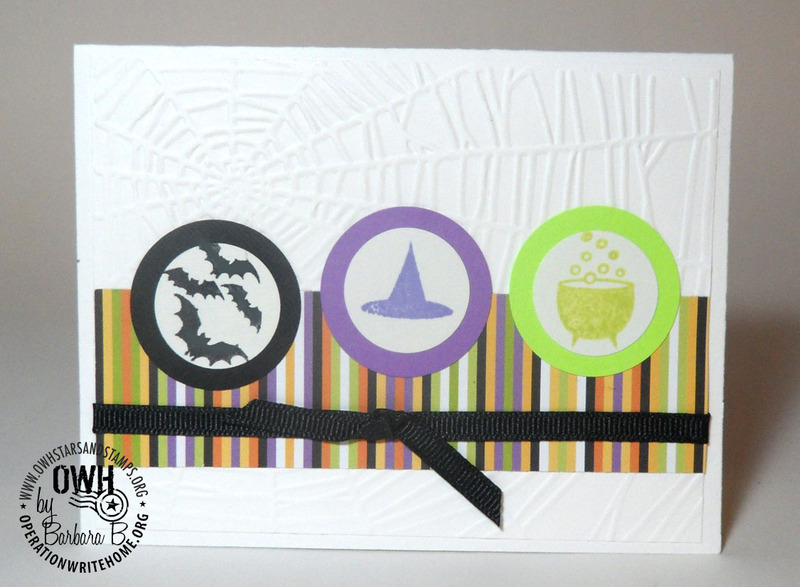 Your cards are gorgeous and I'm so jealous of the stamping parties and classes in your area! Thanks for sharing your cards and story with us. Love your beautiful cards Barbara! 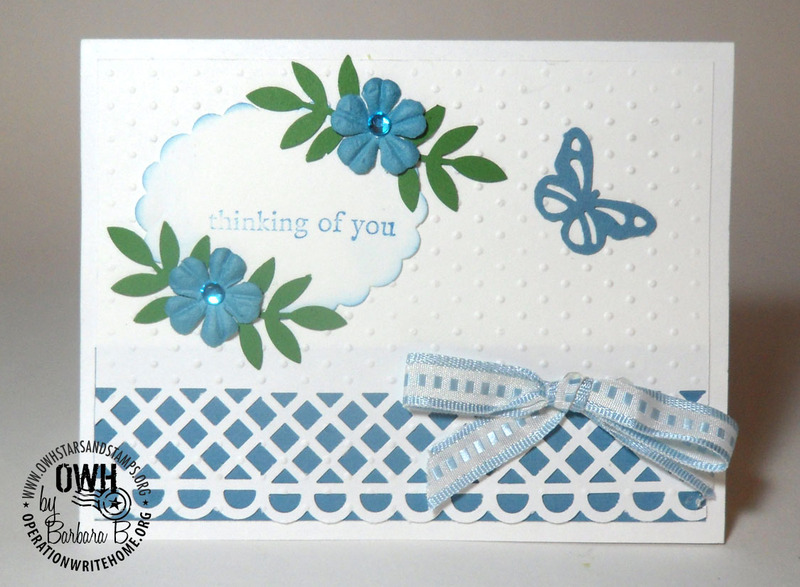 Love the white and blue card as well as the one with the butterflies (my favourite). All of these cards are really wonderful. 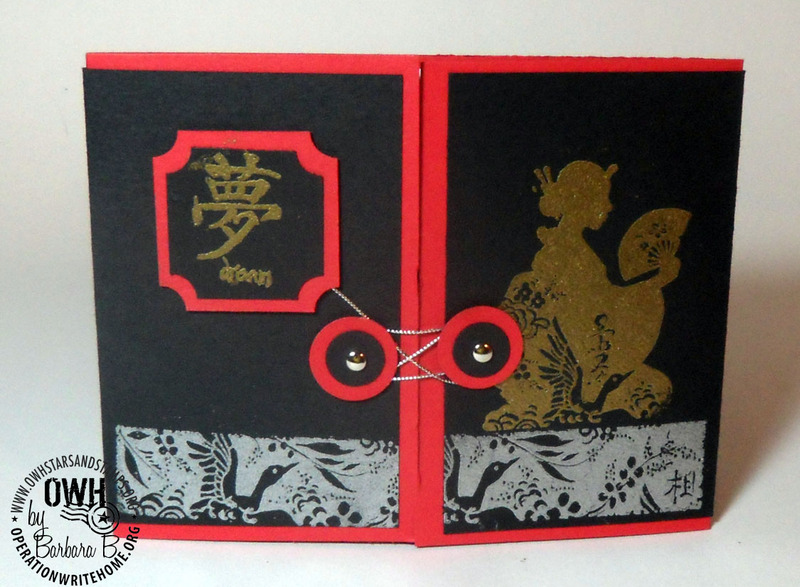 I particularly like the Asian themed one and that clever closure! Terrific work Barbara, thanks for sharing your creativity with us. Beautiful cards, especially the Asian trifold card! You are skilled with border punches; I always manage to mess them up! Great work!